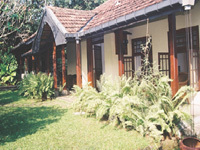 Hotel Address:Havelock Place Bungalow, No. 6-8, Havelock Place, Colombo - 05, Sri Lanka. 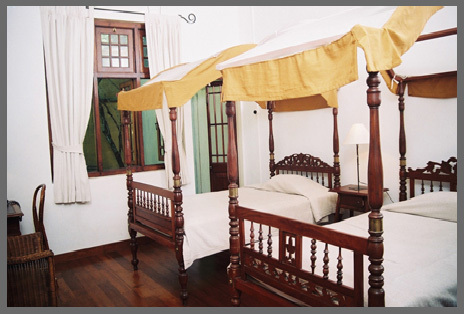 The first Boutique Hotel to be opened in Colombo, The Havelock Place Bungalow is made up of two homes of the colonial period which have been restored to provide all modern conveniences while retaining the elegance and charm of a bygone era. Located within 10 minutes of the commercial centre and in close proximity to shops and places of interest �The Bungalow� is tucked away in a quiet and green cul de sac. Many of our guests have referred to it as an Oasis in the middle of a busy city. 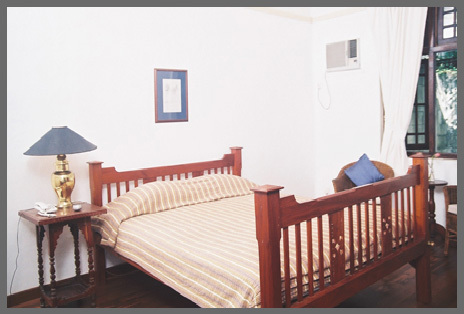 Furnished with genuine antique furniture and designed to provide our guests with a tranquil and restful stay, the air conditioned rooms consisting of 3 Suites and 4 Standard rooms feature comfortable beds, writing bureaus and broad band Internet access. All the rooms have attached toilets with hot water available throughout the day. 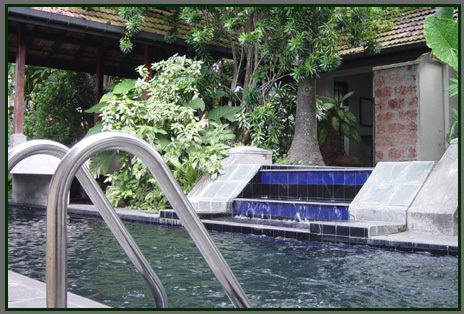 The rooms are in close proximity to the pool and Jacuzzi and most have access to private patio's or direct access to the garden. 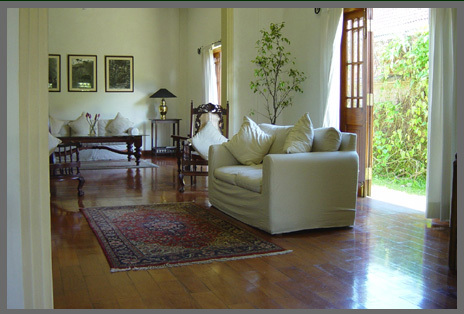 Large verandah to sit and contemplate your day. Private lounge exclusively for resident guests. The pool and Jacuzzi in the garden. The fact that you can dine al fresco, indoors or in your room. 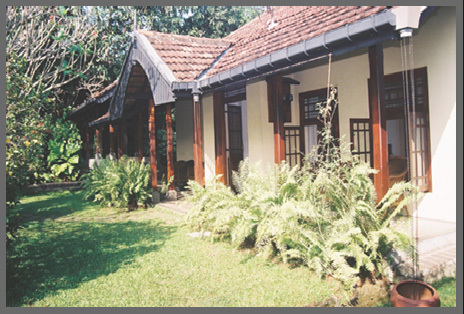 An oasis of calm you can find in very few places in Colombo. The personal service and attention - because it is small, exclusive and special . The extremely friendly staff ready to cater to your every need. Broadband Internet & E-mail access with Wi-Fi facility. in the lounge and Garden. The menu is a la carte. Cooked by expert local chefs combining Sri Lankan ingredients with western cooking style. Every item is very fresh. The chef even does the shopping himself at the market so that he can choose the best and freshest ingredients which the days specials are based on. The cuisine is 'modern', and is Italian/Fusion or Asian. There is an excellent choice of specials. All time favorites like Ceaser Salad, Lemon Tart are also available. The selection of home made ice creams and sorbets are a must. 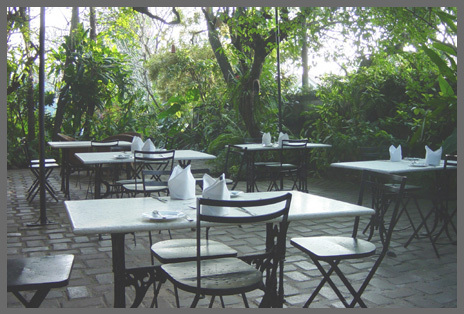 Dining facilities are available in the lush garden or if it rains inside the bistro style restaurant. 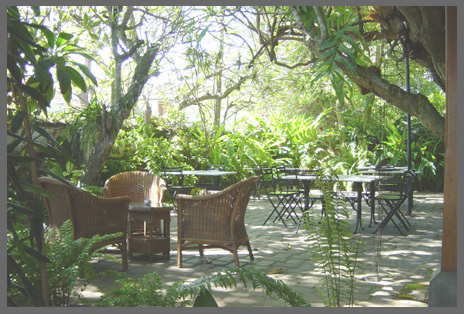 In keeping with the overall ambiance dining at the bungalow is memorable in terms of its food and the setting. Address Havelock Place Bungalow, No. 6-8, Havelock Place, Colombo - 05, Sri Lanka.